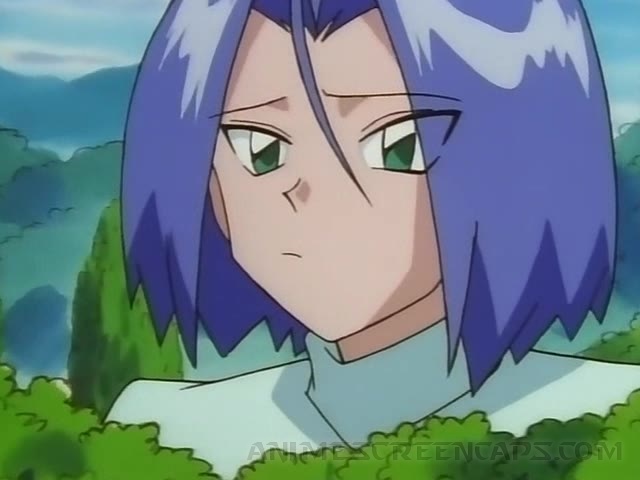 James, by most fans' estimation, is the weaker half of the Team Rocket duo; historically, he's run away from everything that even remotely frightens him, and whines when things are tough. But there is a strange sort of courage in his decision to leave the luxury of his childhood--instead of bowing and submitting to his parents' will for his destiny, he chooses to leave everything he loves (including his beloved Growlithe) to seek a life truer to himself. 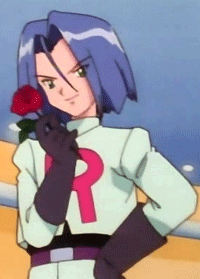 This choice, initially born out of his privileged mindset, leads him down a difficult road, eventually into crime-for-pay with Team Rocket...which means that the spoiled, arrogant little boy learns quickly that others have a much harder life than he has ever led. 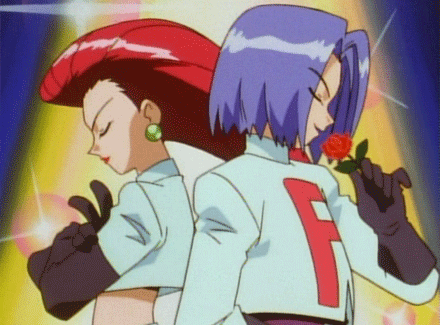 In battle during the Kanto and Orange Islands seasons, James favors Pokémon who provide enough cover and distraction for him or his team to get away or for attacks to be more damaging. Indeed, most of his choices, even though he works for the "bad guys," look more like heroic choices...as if he can't quite bring himself to be as dastardly as Team Rocket would have him be. Also, his Pokémon's first evolutions generally seem deceptively less powerful, until they evolve the second time! (Thinking primarily of Magikarp and Gyarados here, though Koffing and Weepinbell sort of fall into this category, too.) 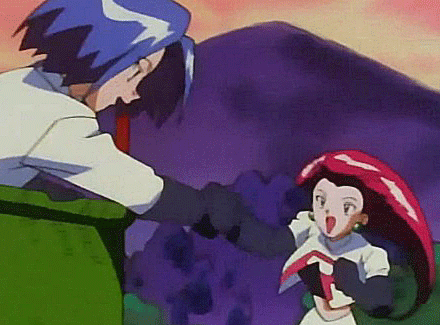 Note that James also collects more Pokémon than Jessie even in the first two seasons of the show, and all his Pokémon evolve under his care; he is actually quite nurturing and gentle, which is pleasantly surprising in a male character. James is a relatable character because he searches for autonomy, due to the deep fear of being trapped into a life he cannot own (again). Though he's a shyer, quieter type, that doesn't mean he doesn't have his own opinions--but instead of confronting his abusers, he runs, because he is ultimately a pleaser personality and does not want to cause more conflict. But, in running away, he is also making a courageous choice to distance himself from controlling forces, and to live a life more authentic to his own wants and desires, even if that life takes him away from wealth and power. In that way, he is braver, perhaps, than either Jessie or Meowth could understand. Could He Ever Be a True Hero? Because of his upbringing and his nature, James has skills in lots of areas; he's especially good at disguises, drama/storytelling, and raising loyal Pokémon. These talents could be put to use in good ways--but, since he's basically in hiding from his family, he prefers the shadows and working for Team Rocket. At least there he is somewhat ordering his own destiny. But, when given the opportunity, James inadvertently proves there is a heroic side to him, so I definitely think he could be a hero if and when he chooses to be. I selected "Boulevard of Broken Dreams" by Green Day, "Special" by MEW, and "Perfect" by Simple Plan to represent James. "Boulevard of Broken Dreams" represents James' loneliness and the bleak outlook he often has on life (usually after Team Rocket has blasted off again). "Special" is a quiet, observant song, using lots of repetition, the speaker's startling clarity of vision about his beloved, and a lulling melody (though I admit, the line "you're a rocket through me" did influence my decision to put it in this list, LOL!). And lastly, "Perfect" by Simple Plan accurately describes the struggles James has with his parents. "Boulevard of Broken Dreams" | "Special" | "Perfect"